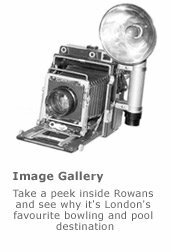 Rowans is the place for children’s bowling parties in North London. 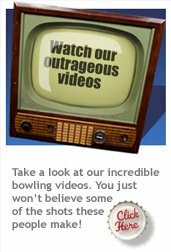 Kids love bowling and there’s nowhere better than Rowans Bowling to throw a party or children’s birthday party. No wonder we’re Finsbury Park’s liveliest kids’ party idea! Parents love bowling too. They also love our children’s party service where you can even bring your own birthday cake if you like! Planning a party can be time-consuming, so also let Rowans take care of the children’s party food and drink as well. Just choose your refreshments from our children’s menu and we’ll serve it after your bowling session in your own special party place. Everything is freshly prepared and catered especially for kids’ parties at Rowans Bowling. And remember your lanes are reserved for the time you want, in one-hour units. All our lanes have retractable bumpers to stop the ball shooting down the gutter and each lane can accommodate a maximum of up to six children. We welcome party bookings seven days a week with guest DJs playing great children’s party music every Saturday and Sunday afternoon. Please note that Children’s birthday parties are not available Friday and Saturdays after 6pm and all Children must leave the centre by 8.30pm. Please give yourself enough time to check in at the control desk 15 minutes before your start time.